It is said, "Nature's beauty is the most enticing one!". For this Blog Post, it's certainly applicable! Not all of the places listed below have made it's way up to the "Seven Wonders of the World", but one thing for sure is you will feel the enchantment, the serenity of these beautiful places that composes a sweet silent tune of how our nature still breathes out the pure oxygen of life! So, let's take a look at these places with most beautiful scenery in the world. 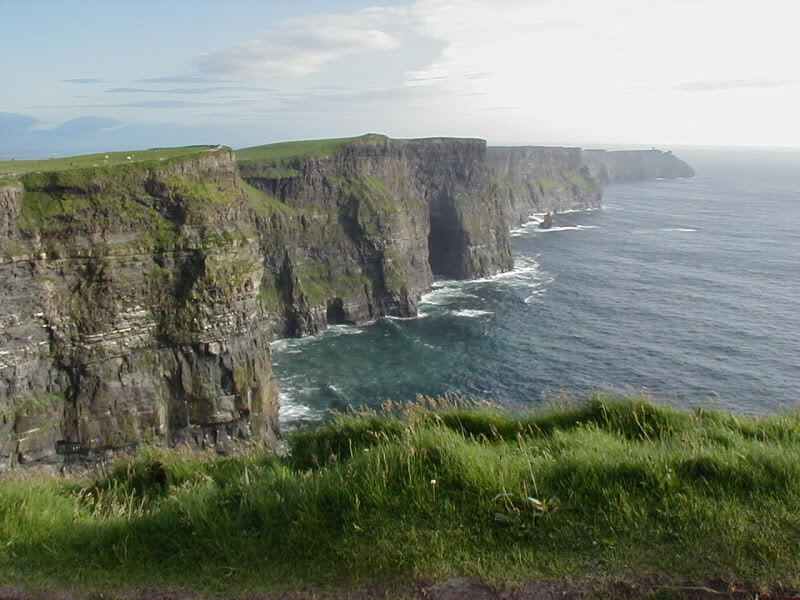 First up, we have, "The Cliffs of Moher". 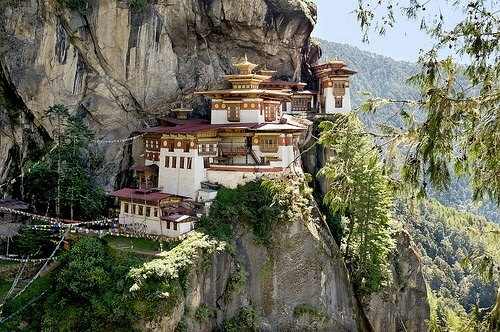 This is considered as the most beautiful place on Planet Earth! It's located at the edge of the Atlantic Ocean. Located in Ireland, this place makes us feel like, as if, we're on the "Edge of the World". There's no special features in this scenery, but the 2000 square-mile expansion of the Atlantic will certainly draw out the young Child in you. Standing on this cliff is an amazing experience. If you are an Adventurer, and, love excitement in your life, then you can also try out the waves from the Atlantic Ocean which is often used by Surfers to ignite their Adrenaline Rush! 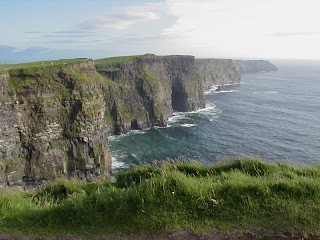 The waves here are famous as the "Giant of Moher". The right time to visit this place is in October. No one doubts that this place deserves to be one of the wonders of the world. Thousands of people participate in the maintenance of this 6000 miles building from time-to-time. 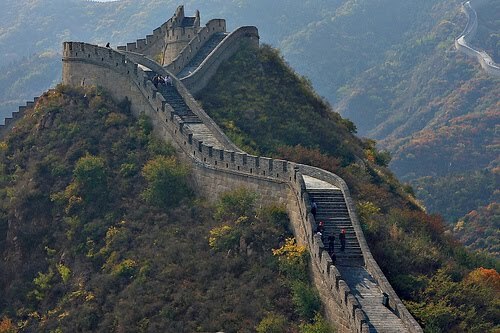 The fact that this big wall can be seen from outer space is still a debate, but beyond that, we really have to admire this as "one of the masterpieces" of human being that ever existed in Time! The most suitable time for visiting the Great Wall of China is, yet again, the month of October. As it is said, maybe Napoleon Bonaparte was listed as the person who changed the face of Paris, as the city of light, during his reign, but, Gustave Eiffel also added one of the most important element of beauty for the city of Paris with the establishment of the famous Eiffel Tower that is famous all over the world as on of the icons of "Romanticism". The Tower has an awesome angle of view!Amazingly, it can be viewed from any angle in the city of Paris, France. At the time of New Year Celebrations, this Tower is usually glorified with festive lights. 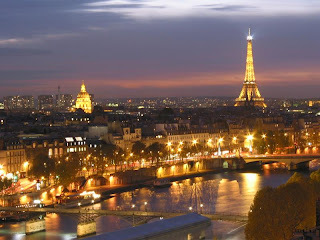 The best time to visit Paris is in the cold season. Although it's very cold here, but the flashes of light in this city becomes beautiful when reflected by the frozen surface of the Seine River. This Mountain is also locally termed to be, "The Death Mountain". It owes it's name from the history of nearly 500 mountaineers who have died in order to conquer their ambition of reaching the Mountain top. This mountain is as high as 14,692 feet, and, is blanketed by snow creating an extremely difficult terrain to climb. 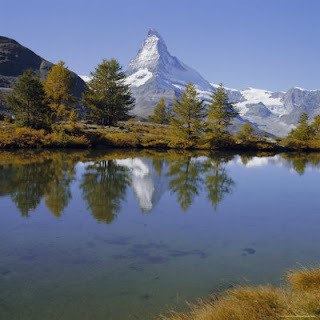 If you indeed want to see what it looks like to be on top of this mountain, you can see the mountain scenery through a place, which you can reach by walking along 3 miles to th Riffelsee Lake. Where if it's sunny then the shadow of the mountain will look very beautiful on the lake's surface. The Best time to visit this place is between July to October, because at that time the Lake Riffelsee Train Line is open for the public. Who doesn’t know the Grand Canyon? An area which covers the 18 miles cliff and extends up to 277 miles, with a depth of up to 1 mile, the Grand Canyon is the most popular natural tourist destination across the ages! Although not the deepest or the most extensive, but Grand Canyon is undoubtedly, a master collection of the most colorful rock cliff. This place also describes a period known as the Proterozoic and Paleozoic – the history of the earth for 2 million years ago, a landscape that can not even depicted through the film and there is not any anywhere in the world. There is one place that has become a favorite scene, known as, Shoshone Point. 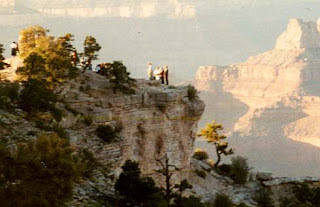 From this spot you can actually see the beautiful scenery of the Grand Canyon. Interestingly, these lines do not have a signboard, as it's located somewhere between 244 and 245 miles from the East rim drive. The period of March to May is the right time for the traveller who uses an RV to arrive! 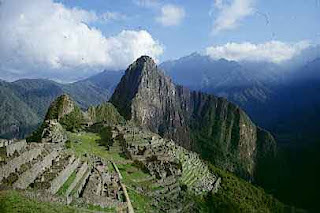 The Incas built Machu Picchu with a remarkable concept. Despite many rumors circulating about what is the purpose of the construction of this temple – either to prison, sights, or, for agricultural purposes and possibly even housing officials earlier times, but it certainly presents an amazing scenery from Machu Picchu. The beauty radiated through construction techniques of this building that was built by the Incas in the 15th century, is really awe-inspiring! Moreover, in this place you can see how the sun rose across the valley of Urubamba that will give you an unforgettable experience. Wake up early and go to Machu Picchu, and if you are lucky, You will be the one of the first 400 people that visit Machu Picchu every day. You will get the chance to go to an area called Huayna Pichu where this place is the high place which allows you to see the ruins of Machu Picchu with a bonus scenery of the beautiful cloud forest. June is one of the best time to visit Machu Picchu, and on Sundays you can visit to Pisac Market along with other tourists. Tiger Nest is located on the edge of a cliff in the valley of Paro in Bhutan. This place is capable of stunning the visitors with it's incredible silence, and, serenity. The only sound that will break the silence of this place is the prayer of the monks and the sounds of their worship equipment. The most beautiful scenery can be found in the Sangtopelri Garden in front of the Tiger Nest mountain that can be reached by a simple cable car which is often used by the monks too! 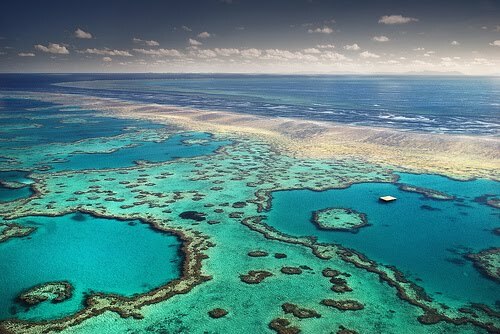 Last, but, not the least, is the world's largest coral reef, "The Great Barrier Reef". Located off the coast of Australia, this presents an amazing underwater scenery. It is very colorful, and, a breeding place of the beautiful coral reef! It is also home to many marine animals such as the Saltwater Crocodile, Sea Dragon, and, more than 125 types of sharks. You can try to dive from Lady Elliot Island, it's a place of residence of the Manta Rays and is also famous for it's crystal-clear water. The perfect time to visit the Great Barrier Reef is in September, and, October! Thus, this brings us to the end of our list, and, to the end of my post! See ya, next time! Same place, with a different, and, a more exciting Blog Post! Have a Nice Day! :) Cheerz!